Also known as the Plank Chair, the GE 290 was designed by Hans J Wegner in 1953. 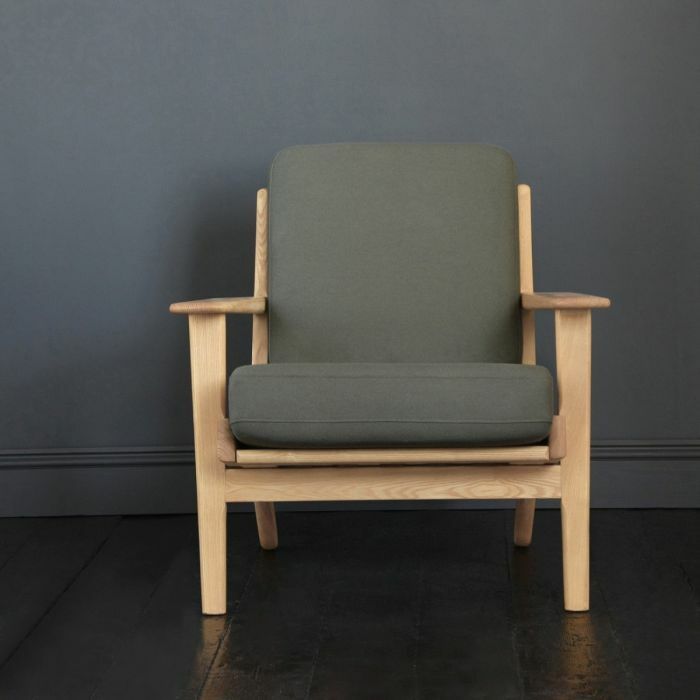 Our version of this classic chair has luxurious cushions, upholstered in Greeny Grey Cashmere sitting on a solid Ash wood frame, An iconic piece of Danish design that's also comfortable and practical for everyday use. We have a limited quantity of this colour combination in stock we can supply other colours option made to order, this can take up to 20 weeks.